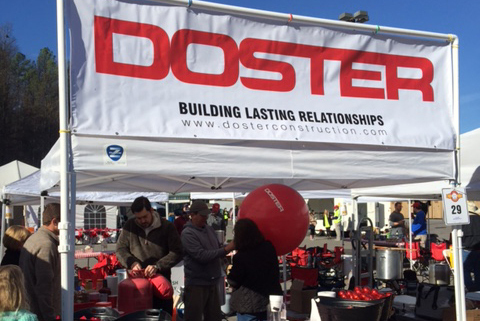 Doster participated in the 13th annual chili cook-off benefiting The Exceptional Foundation. The Chili Cook-Off is The Exceptional Foundation’s largest fundraiser of the year. Cook-off guests get to sample chili from all of the teams and vote for their favorites while a team of judges select the grand prize winner. Proceeds from this event are a significant source of funding for the programs at The Exceptional Foundation where they strive to meet the social and recreational needs of individuals of all ages that are mentally challenged.